Home on emergency leave, Navy SEAL Dustin "Dustman" Ford didn't expect to run into his high school sweetheart, local news reporter Jenna Turner, figuring she'd have shaken off the dust of their hometown a long time ago. A woman as addicted to action and adventure as he was, he thought she'd have moved on. But she was still there, and every bit as distracting as she'd been when they were teens. Jenna Turner never got over Dustin, but moved on with her life, establishing herself as a news reporter for the local station. In an effort to take on more than reporting social events and weddings, with the help of a cousin and an inside connection on the police force, she chases the hotter news items, determined to make her break into the national news scene. Now that he's older and wiser and his father is on the mend, Dustin tests the heat with his old flame and finds it's sizzling. When Jenna is caught in the crossfire and taken hostage in a religious compound, Dustin and his brothers stage a rescue operation to bring her and others out alive. A great second chance story. A great second chance story with a nice amount of suspense. Dustin and Jenna were engaged briefly over ten years ago. When Dustin is called home, due to his father’s illness, they run into each other again. Dustin’s heart was broken when Jenna broke off their engagement only a few days after she accepted his ring. 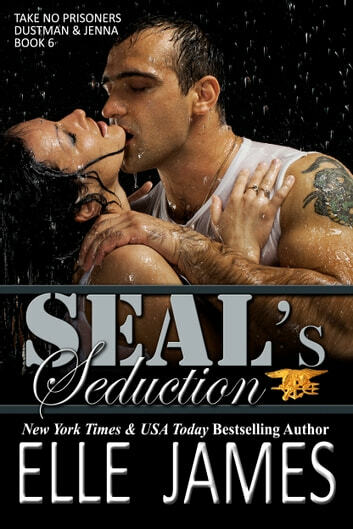 During the ten years apart he became a Navy SEAL, fulfilling a dream, but he never forgot her. He believes that Jenna broke things off so she could pursue her own career goals; Jenna doesn’t want him to know the real reason. This book has a lot of great elements – a strong heroine, a strong but vulnerable hero, along with great secondary characters. I hope some of the secondary characters get their own books eventually – especially the hero’s hot brothers! I read a beta copy of this book for the author and this is my honest opinion/review of the book.